The duplex apartment designed by Goddard Littlefair, won gold at the London Design Awards. 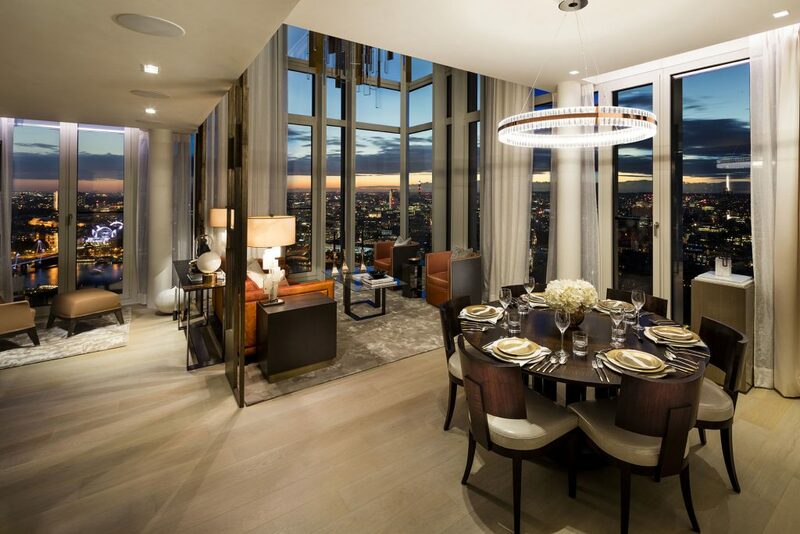 Inspired by the spectacular views, in particular the sunset over London’s west end, the apartment features a colour palette of rusts, ochres, grey, oyster and soft blues, the main feature includes a breath-taking hanging sculpture and geometrical bronze fretwork panelling in the double height living space. The London Design Awards is organised by design100 a global community of 75,000 design experts that celebrate creative courage, recognise design excellence and grow demand for design. In London a panel of some of the world’s leading design minds providing curatorial, judging and creative direction. design100 run in awards throughout the world including San Francisco, Chicago, New York, Hong Kong and Sydney, and provide the design community links into global markets and an efficient method to gain recognition in export markets.